The publication series, Managing the Public Service: Strategies for Improvement, provides the reader with access to the experiences and the success of elected and appointed officials from across the Commonwealth. The current title, Empowering the customer, is a continuation of this series. 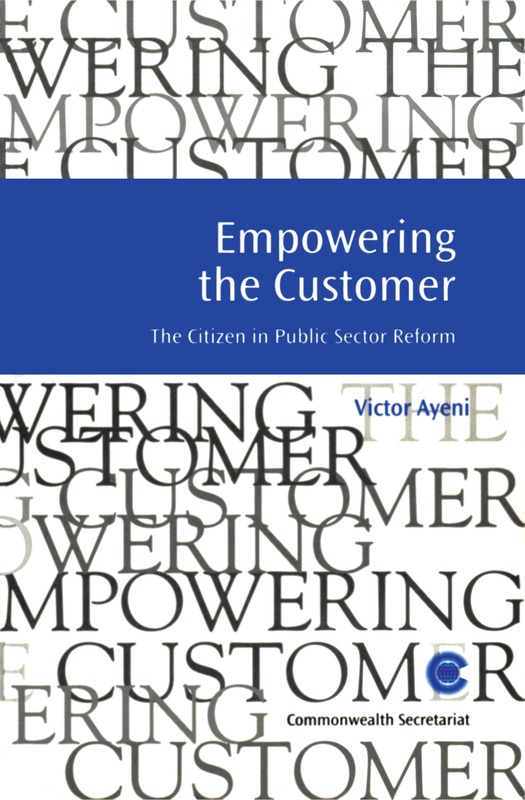 Redefining citizens as customers is a central concept in the current public sector reforms. To this end, various market-oriented measures, public-private partnerships and new performance management approaches have been introduced, in addition to traditional consumer protection mechanisms, to promote genuine empowerment of the customer. This publication explores some of these recent strategies based on Commonwealth best practice. It presents, among other things, guidelines on developing clients’ charters, setting appropriate standards for public services, and meeting the expectations of the socially deprived. The public sector is of course remarkably different from business, and not easily amenable to the conditions of a perfect market environment. The publication addresses some of the implications of this issue for the implementation of the new management theory. It provides "hands-on" materials and policy ideas for governments, practitioners and experts. What has the Charter Achieved?